Yorton Farm Stud is located in the village of Leighton, near Welshpool at the Victorian-built Leighton Farm in 300 acres of the beautiful Powys countryside. The historic Leighton Farm was a model farm where rational farming methods were employed using techniques derived from science and industry in the 1850s. It was characteristic of its period but especially notable for its scale. The Grade 1 listed buildings have been tastefully restored and converted with the best possible standards of equine care in mind to house one of the country’s fasted growing stud farms. 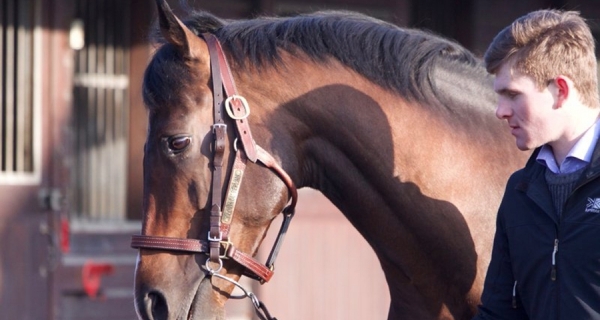 With well-lit, spacious and ventilated stables, specialist CCTV monitored foaling units and a range of paddocks suited to mares and young stock of different ages, Yorton Farm is a fully equipped modern stud. Constant vigilance in providing the highest standards of care to each and every animal is the overriding concern. Whether your mare is visiting a stallion, boarding or at Yorton Farm Stud for specialist foaling care, the service is founded on the personal touch. Yorton Farm is recognised as one of Britain’s fastest growing breeding operations, with the standing roster of stallions in big demand with endorsements from Britain, Ireland and France. From humble beginnings foaling mares for nearby contacts the family-run business outgrew its Shropshire home, with 300 mares visiting the farm in the year before the October 2013 move to Leighton Farm.